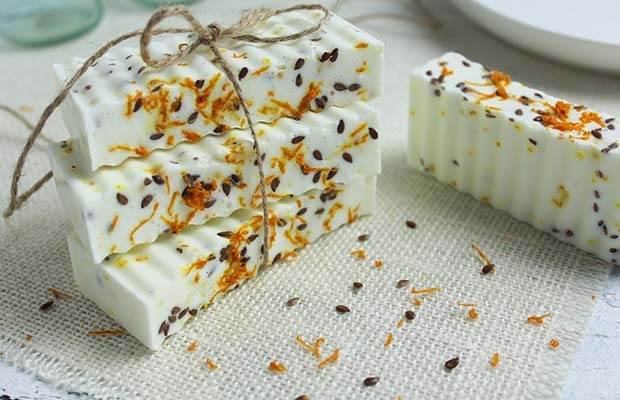 A very simple soap to make. Use as a hand soap. In a double boiler over medium high heat, melt shea butter base. Add essential oil; stir. Add zest and flaxseed, mix and immediately pour mixture into soap mold. Place mold in the refrigerator overnight to set. Remove from mold by gently flexing mold until soap pops out. Allow soap to sit and dry for 48 hours before wrapping it.